A medical device is an implant, instrument, or machine used in the diagnosis of disease, or in the cure, treatment, or prevention of disease, in humans. It is intended to affect the structure or function of the body but does not do so by means of chemical action within the body. Medical device manufacturing is governed by agencies such as the FDA, and the MHRA, which expect manufacturers to adhere to stringent and established standards. The challenges faced by today’s medical device manufacturers when producing single use devices are influencing requirements for more sophisticated manufacturing technologies. Amada Miyachi Europe works in conjunction with medical device industry experts to lead the way in the supply of a comprehensive range of resistance and laser welding, laser marking and laser cutting technologies and is familiar with the process validation requirements required to meet FDA standards. 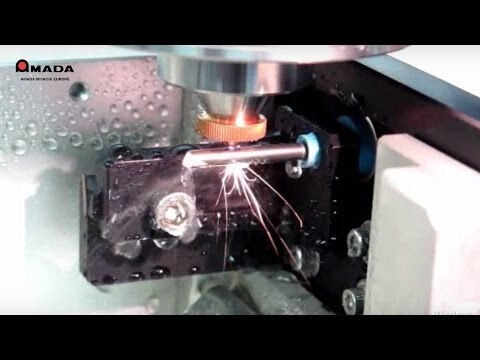 Value-added process knowledge, such as our patented motion and laser control techniques (position-based firing) coupled with new metal-joining production methods, have been made possible by the availability of “green light” (532nm) pulsed welding lasers. This further distinguishes our innovative, leading-edge status within the medical device arena. Cardiac pacemakers, defibrillators, guidewires, catheters, cannulae, hearing aids, brachy seeds, orthodontic appliances, prosthetics, and surgical tools are just a few of our many successful applications now being used in the manufacture of medical devices.